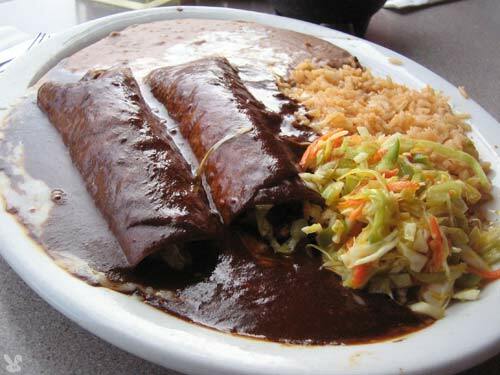 Now it’s time to use up that smoked turkey breast, and what better way than to make enchiladas with mole sauce? 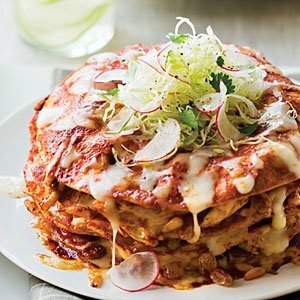 These are stacked enchiladas, which are more commonly served in New Mexico. In fact, there are a number of sauces that can be used in this recipe, including New Mexican Red or Green Chile sauces. Prepared Oaxacan black mole sauce is available online from Zingermans.com. There are many variations of soup with tortillas throughout Mexico, and this is a variation that is popular in the Yucatán Peninsula. 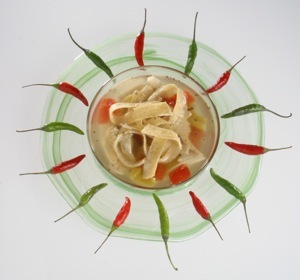 Chicken is commonly used but you can substitute leftover turkey in this delicate soup.